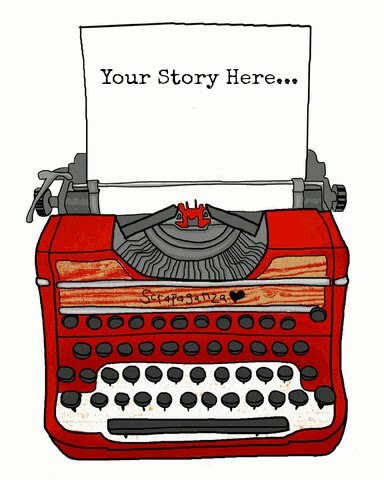 The Story Matters: Our VERY first Sneak Peek!! Our VERY first Sneak Peek!! I feel like there should be drums rolling! So many WONDERFUL things lining up! But in the meantime, PLEASE, keep filling out the survey! We have had SO many WONDERFUL ideas coming from the survey!! I can't even tell you!! FANTASTIC! You are making us think! As we mentioned, the kits will be available as limited editions until our website starts up. Everyone signs up with a subscription. AND everyone gets the kits for the same price!! AND you can cancel any month you want! So you can sign up for the first kit, and wait until the sneak peek on the 15th, and if you don't like the next month, you cancel by the 20th. So your kit will be delivered to your door for the same price most kits sell for BEFORE shippping! QUESTION: For $24.99, do you want cardstock included, or would you rather more printed, and have a cardstock "add-on"? Cardstock is included in the first kit. But we are even rethinking that! That is what these kits are for-input and interest!! Kits will be available first come, first serve on February 5th at 10am CST via a link on this blog! Let's do some name dropping, shall we??? 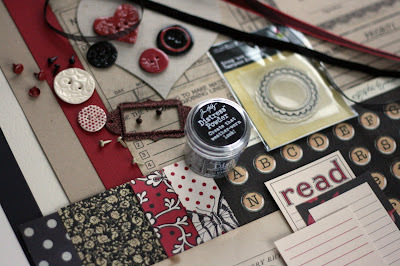 Technique's... We aren't going to just USE the Tim Holtz Distress powders, we are going to help YOU use it too! Welcome to your introductory kit!! February kits will include NEW CHA product, and March's kit, will be most if not all newly released products! YAY! So mark your calendar for February 5th!! There's a new kit in town!! LOVE it....love that you have listened, love that I can pick it up an save shipping and get an excuse to shop at the store some more :) woot woot! love that you can cancel within a certain time frame...that right there rocks because as much as I love both kits I currently get, there are some months that what is in the kit isn't really my "style"...granted, it forces me to think outside of the box and generate some different layouts, but it would be nice sometimes to see the sneak peak and say "uh, no thanks". You rock!! Woo Hoo! Looking good. Gotta say I am loving the price, just one question how do I sign up for the first kit? I want to sign up too!! Let me know when and where and I will be there :) Keep up the great work girls..this is so awesome! I am excited! I love the pick up option too and the non commitment subscription. Personally, I think you should include cardstock in the kit. You need it for at least some layouts don't you? And we don't all have a great big stash to be able to coordinate! Not necessarily a lot, maybe even only 2 pieces? The store OR online at 10am on February 5th! YAY! ooh , great price & the p/u option rocks!! Hee Hee i think no cardstock! !Too excited!! SOLD!!! I am loving this first kit!! I am in LOVE with those buttons!! !They are so very me! Love all the black and red!!! I hope you keep posting reminders as Feb 5th gets closer! 10 am what time zone? Because I am there at 9:59! This is gorgeous! I love everything about what you guys put together! Everything. Love all the options that you have thought of. THIS IS GREAT!!!!! Great sneak!So many fab products in one kit,wow! It;s finally coming together and looking AMAZING! I sure do love this sneak. Great papers and combo of papers. As for cardstonk, I'm torn. I see the point about matching up on your own. But that then 'ruins' the all- inclusive concept. I just told myself I HAD to taks some time off from kits, and now you do this to me!!! Sounds like you have a great concept with the store pickup (I'd consider driving a bit for that) and no commitment. Marking my calendar. Kit Clubs-Take Survey and ANOTHER chance to WIN! Would you like a winner? ?